The marketing strategy always keeps on changing to achieve a successful marketing campaign. Companies every day apply some new and planned strategies. Some policies may cause loss, or some may make your business famous. So, there are lots of things that you would have already applied to achieve the perfect marketing goal. 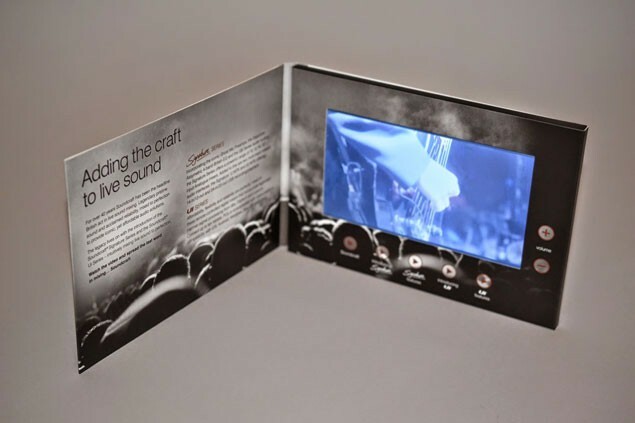 But, have you ever thought about a video brochure? If no, it’s time to move on for LCD brochures or video brochure. If you want to create a memorable impression of your business, nothing can be better than the video brochure. The video brochure looks just similar to that tradition brochure made up of paper. But, after opening the brochure, your potential customer gets a mini LCD screen instead of that text and images. It’s just the audio and visual combination to engage potential client by representing an impressive package. Because of this LCD screen in a brochure, it is also known as LCD brochure. Here, people only need to click on the play button to have the information about your business. So, it is interesting to see rather than reading that wall of text. A good and attractive video card itself creates an amazing impression on the viewers' mind. Therefore, it also creates a big impression of your business among the client. People like to watch your video again and again which further create a better awareness of your business when they share brochure with other. 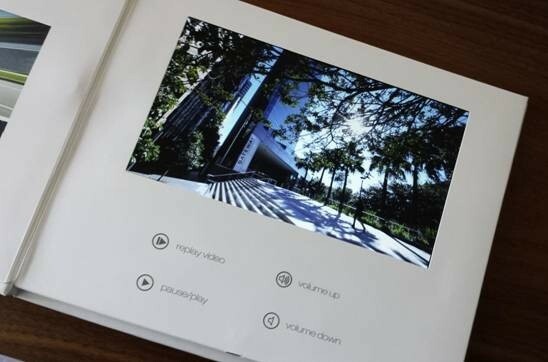 Unlike that printed brochures, you can easily change the video content without having the print of the new brochure. New videos can be easily loaded expensively, only with the use of your PC or Mac. With the same unit of LCD cards, you can make the people aware about your business. Hence, it’s a simple and economical way of the business campaign. Video make the things easy to understand, so people easily identify and know your business. People feel video more interesting than reading that text. When any recipient receives this impressive piece of technology, they can hold it like a normal brochure. So, if in that normal situation, if anyone finds video inside the brochure, it really exciting and remarkable experience. A live presentation may create some error when salesperson expresses about your products and services. It might be that they would not be able to present your service effectively. 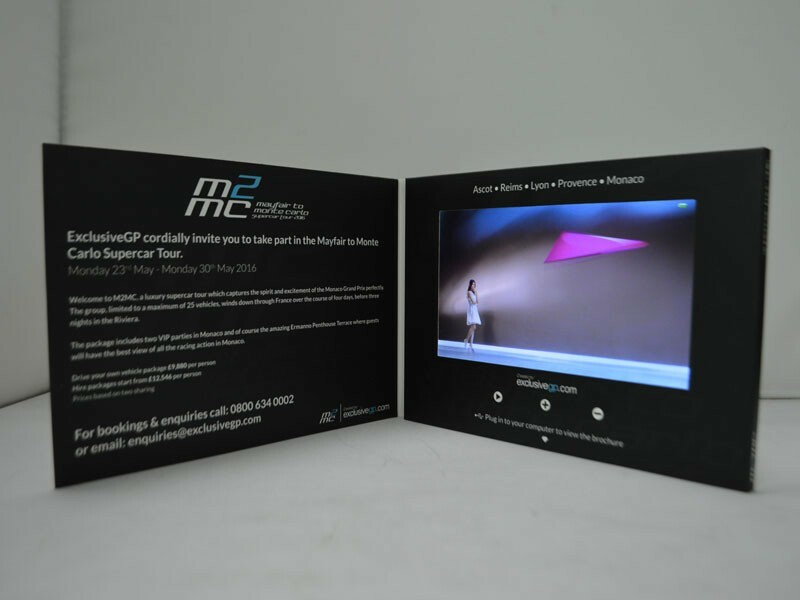 But, with the video brochure companies can control the messages through the video presented in the brochure. You can represent your important and new product through the video cards. This will make the people know more about your products and services. As a result, they will approach to have the more information about the product and so you can have the enhancement of your product. As a start-up, it’s challenging to make the people aware about your business. 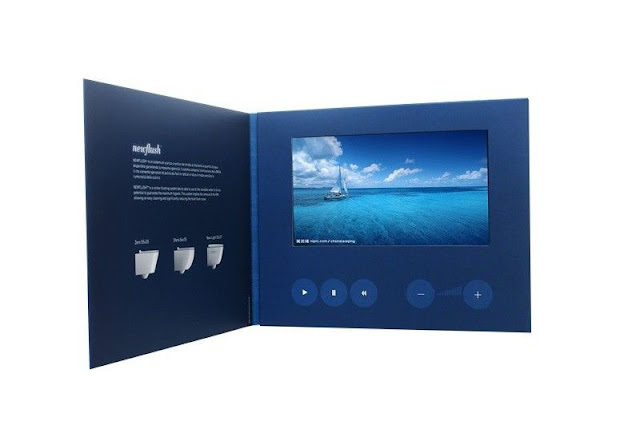 But, with LCD card or LDC brochures, you are going to have a fascinating and memorable introduction. Just with the help of video brochures, you can exactly make the people know that what your business does and what you want to offer. This is not only going to create a strong impression but also going to turn them into your important customer. As soon as people watch such brochure, they immediately share with the other people about the innovative built-in technology. This indirectly going to make the people aware of your company name and business with LCD card. With such amazing benefits, you must adopt this new technology with your brochure if you want to have the fast and perfect growth of your business. Hence, just look for the best video brochures and LCD card service providers and immediately implement this in your business. If you like this post, please don’t forget to like share and comment.